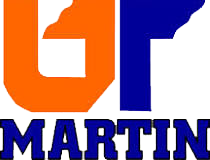 Martin, Tennessee, is the home of a large university known as UT Martin or Tennessee Martin. The school is part of the University of Tennessee system and has over 8,000 students. We support the local "Bible Chair" known as the Church of Christ Student Center. We help with meals for the college students and with other needs. We welcome several of the students to our church as their "home away from home." During the school year, we have a special class for the university students and integrate them into our congregation as they allow.